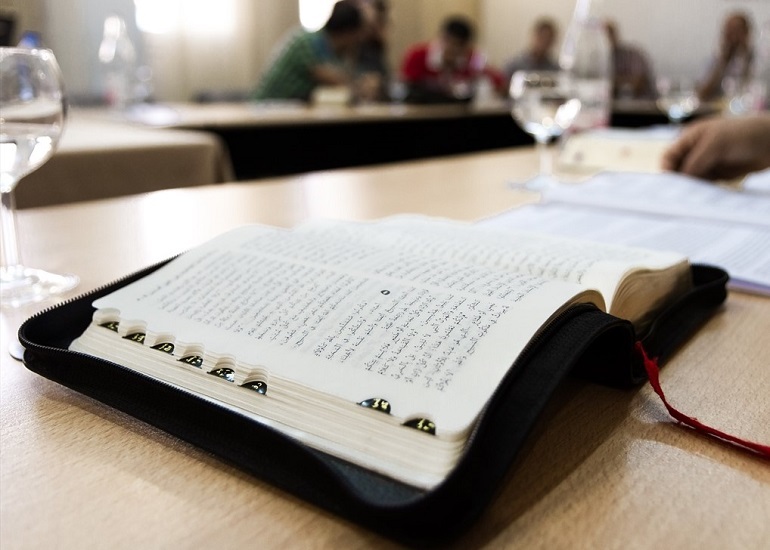 A court in Algeria has overturned a prison sentence, but upheld a fine, against a Christian man convicted for carrying a Bible and other Christian items. Idir Hamdad, 29, had been convicted in absentia on 28 September 2017 (though he only learned about this five months later) and given the maximum sentence of six months in prison, as well as a fine of 20,000 DA (roughly $175). On 3 May, a court in Dar-El-Beida, an eastern district of the capital Algiers, overturned the prison sentence but upheld the fine for “importing unlicensed goods”. His lawyer, Nadjib Sadek, who said he had expected all the charges to be dropped, called the verdict “ridiculous” and said he would appeal. There have been several similar cases in recent years that have been frozen. But there are concerns that these cases will now be revived. Idir Hamdad’s case dates back to April 2016, when he was arrested at the airport following a complaint by the customs office. Hamdad comes from a very modest Muslim family. He lost his father in 1996. In 2002, he converted to Christianity. So did his sister and his mother. But their conversion was not welcomed by their neighbourhood. In Algeria, where Islam is the state religion, conversion to another religion is considered apostasy, an act punishable by the death penalty. As a result of their conversion, Hamdad and his family suffered lots of harassment and rejection from their community, before being welcomed by a local church. 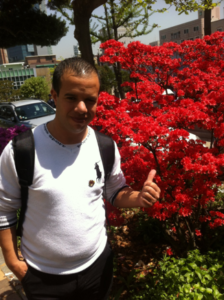 Over time, Hamad’s faith strengthened and he became involved in children’s ministry. It was to meet the needs of this ministry that Hamdad went abroad, in April 2016, for training. On his return, on 29 April 2016, he was stopped at Algiers airport by customs officials, who searched his luggage and found the Bible, crucifix-shaped keyrings and other Christian books. “As they opened my luggage, all of a sudden I found myself surrounded by a multitude of police and customs officers,” Hamdad told World Watch Monitor. “One of them began to gesticulate in all directions as if to attract attention. It was then that two policemen grabbed Hamdad, one on the right and one on the left, and marched him to the police station. At the end of his detention, which lasted eight hours, Hamdad was released in the early evening, and left alone, 100km away from home. He said he was deprived of water and food all the while and that his Bible and other items found in his suitcase were confiscated. Hamdad then returned home and continued to carry out his daily activities, which he said he did so without fear. But almost two years later, he found the case against him had been revived. On 4 March, 2018, a bailiff, acting at the request of the public prosecutor at the court of Dar-El-Beida, went to Hamdad’s family home and handed to his mother a copy of a judgment dated 28 September 2017. Hamdad discovered with amazement the verdict had been rendered in absentia, five months earlier. One month later, on 12 April, accompanied by his lawyer, he appeared before the court in Dar-El-Beida to challenge the verdict. According to Hamdad and some witnesses who attended the hearing, the judge, “an elegant woman without hijab”, appeared very surprised by the accusations. The case was then postponed for a month until last week, when his prison sentence was overturned but the fine upheld. In March, two brothers were handed large fines for carrying over 50 Bibles in their car. Prosecutors claimed the Bibles were to be used for proselytism, though the brothers said they were for church use only. The two men were each fined 100,000 dinar (US$900) on 8 March by a court in Tiaret, about 300 kilometres southwest of Algiers. Their case dated back to March 2015, but was revived almost three years later. Previously, on 19 December 2017, three Christians were arrested in Chlef, 200km northwest of Algiers, for carrying Christian literature. They were taken to the police station, where they were investigated at length. Since November, four churches have been closed down: three in Oran and one in Akbou, as World Watch Monitor has reported. A number of other churches have received notifications to close down immediately. The authorities have accused them of operating without permission, despite their affiliation with the legally recognised EPA (Église Protestant d’Algerie), the main umbrella of Protestant churches in Algeria.